With Mother's Day just a few days away, I've been thinking a lot about the motherly wisdom that my mom (that's her in that top photo) handed down to me (much of which was handed down to her as well) that I am now beginning to hand down to my kids. Admittedly, some of the advice and knowledge she shared with me was at least partially blown off for a long time (especially during the teenage years) - but that all changed when I got older and, eventually, had children of my own. I realize now that there are just certain things only a mama knows. The expression "mother knows best" is no joke, friends! 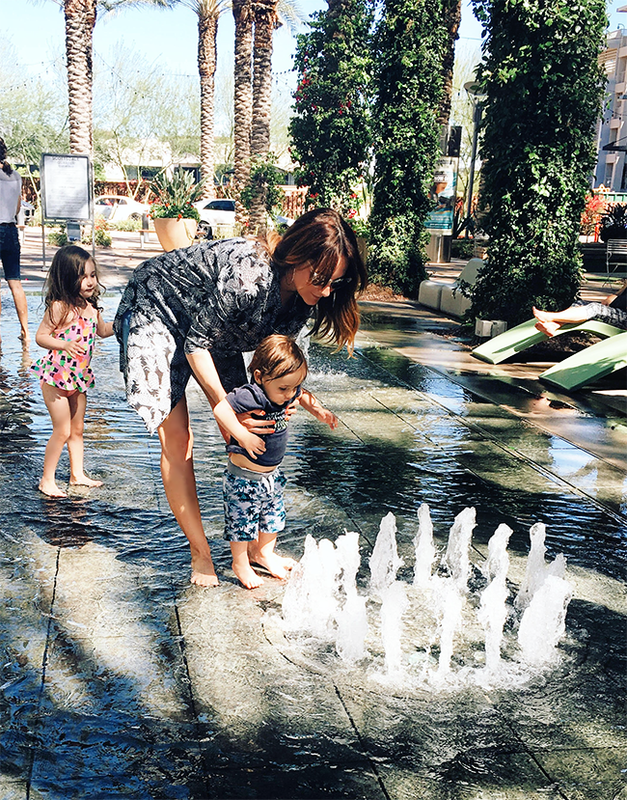 Today I'm teaming up with my pals at Hyland's to share with you some of the best of my own mom's words of wisdom, along with some of my favorite photos of special moments with my little ones from the past year. No matter how bad you feel now, it will pass. This has been a big one for me, because I am sensitive (as is my mom), and sometimes I end up worked up or feeling down about things that aren't a big deal in the long run. Especially when I was a teenager, my mom would remind me of the famous line "this too shall pass" - and it always did. (And her mom used to tell her the same.) When I get upset about things today, I always remember this and it instantly helps me feel better. Essley is only 3 but I'm already starting to instill this in her too. Taking time for yourself is not only good for you, it's good for those you love. Before I had kids, I was constantly working, to the point where it was borderline unhealthy. And now that I have kids, I always put them first (which you have to, to a degree), and I also tend to fall back into that trap of putting work before myself as well. My mom has always put herself last too, but she has also always made the effort to take time for herself - to read, to go to yoga class, to get a manicure, to enjoy a glass of wine on her deck. 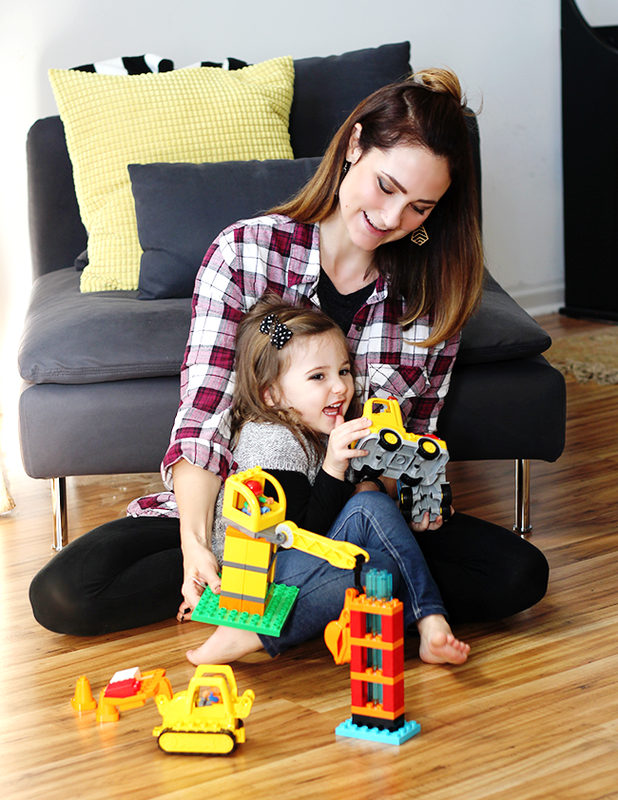 She sets a great example for me and for my children with this, and it's something I have been working on (and significantly improving) over the past couple of years. I can tell that it makes my family happy because it makes me happy. And that's important. Eating right has a profound impact on all aspects of your life. I grew up eating healthy, organic, homemade, whole foods and it drove me crazy. I remember the kids in grade school feeling so sorry for me that they would sneak extra bags of chips and cookies into their lunches to give to me. Now, of course, I am incredibly thankful for this, because it's been easy for me to make healthy choices as an adult, and to do the same for my children. There have been enough periods of my life where I've eaten poorly that I have proof she was right about the difference it makes when you eat well. Making decisions when angry or tired is never a good idea. My mom taught us this from a young age, and while my kids are too young for it to really apply to them right now, I will consistently remind them of it when they're old enough to get it. When you have kids, the days are long, but the years are short. In the early newborn days after I had Essley, I called my mom crying. 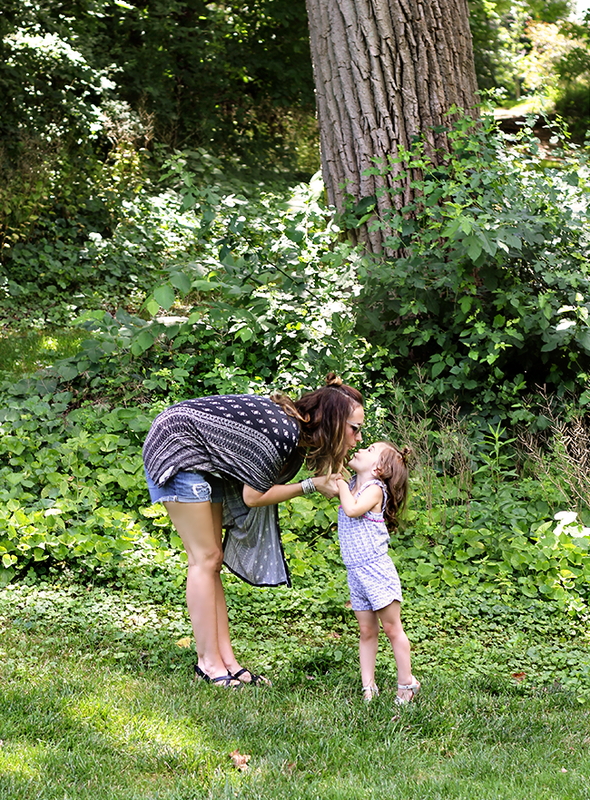 I was so exhausted and overwhelmed, and I felt clueless about how to parent. She told me that while the days (and nights) felt incredibly long right then, the years would go by profoundly quickly - and to try to appreciate the time while my babe (and now babes) are little. And now, in the blink of an eye, my newborn is three and a half. My mom's mom had six kids - talk about the days feeling long. But those years went quickly for her too, and she told my mom the same thing when my mom was a new mother. And someday, if my kids become parents, I will be telling them the same too. Working hard and following your passions matter more than how much money you make. I was always (and still am) encouraged by my mom to work hard pursuing my dreams. (I got a theatre degree, and she never encouraged me to do otherwise because I loved it with all of my heart.) And while money is important in terms of having enough to get by, being happy with a career is, in my mom's opinion and in mine, more important than the paycheck. Writing thank you notes is always a good idea. Even to this day, my mom asks if I've written a thank you when I receive a gift. I always have Essley and Emmett draw thank you pictures when they get gifts as well. A mother's instinct is a powerful thing. My grandmother always followed her motherly instincts with her kids, and my mom has always done the same with us - and it's worked. Right before Emmett was diagnosed with epilepsy last year, when everyone told me I was overreacting and his seizures just looked like reflux, my mom told me to trust my motherly instincts. I did, and Emmett was quickly diagnosed, given proper treatment, and is now a healthy toddler. Had I not followed my instincts, the situation would be much different. I will always, always, always push my mama friends, and Essley if she becomes a mom, to follow their instincts as mothers. Being kind is everything. Above all else, my mom repeatedly told us (and still does) how important it is to be a kind person - to other people, to animals, and to the planet. And her mom told her the same. This is probably the greatest lesson I try to teach my children as well. Using natural, safe, effective health remedies that have been trusted by generations of other moms is important. When we were little, my mom was big on providing us with healthy, clean foods (see above), and using Hyland's homeopathic remedies - which her mother used too - when we had colds, ear aches, and other issues. And now I used Hyland's for my own children. We have many of their products on hand at all times, including their Baby Gas Drops, Bug Bite Ointment, Eachache Drops, Diaper Cream, and Cell Salts. 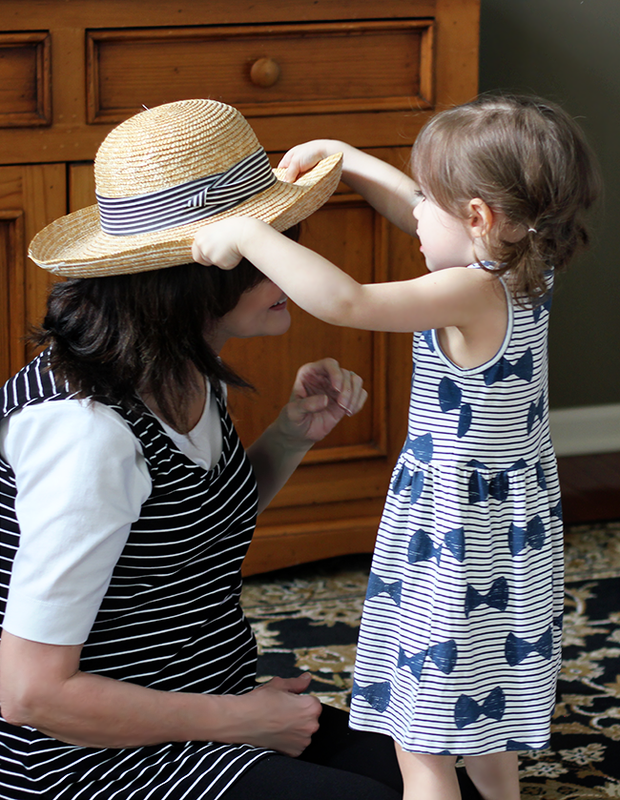 Like my mom and her mom before her, I am a big fan of the Hyland's company in general, and their efforts to provide moms with a supportive, nurturing community that goes beyond just their products. And it's just nice to have healthy products on hand that you know you can trust, because they've been pure, proven forms of care for over 100 years. It's a big weight to have lifted, really. Plus, they just made the most video (see below) about motherhood. (You can also watch it here.) It brings tears to my eyes every time I watch. There really is no power greater on earth than a mother. Okay guys, now it's your turn. 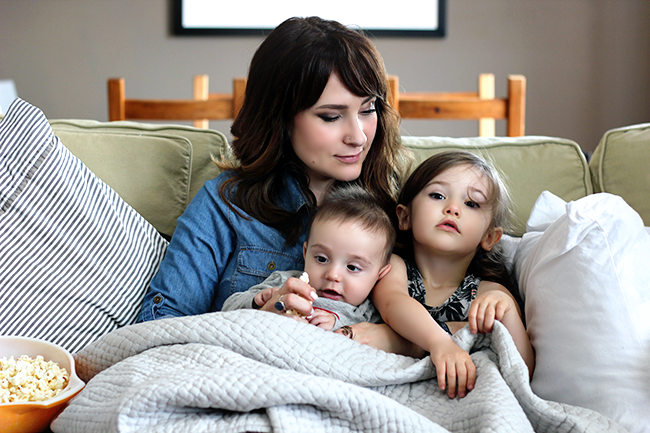 What motherly wisdom has been passed on to you? And if you have kids, what wisdom do you in turn share with them? This post is in partnership with Hyland's. Thank you for supporting the brands that help make Bubby and Bean possible. This is such solid advice and that video is super sweet! I wish I'd listened to my mom more as a teenager too, but now I respect her words of wisdom so much and will teach my futures kids the same. My favorite advice she gave was to remember that people are never judging you as much as you think they are! I love the "being kind is everything" mantra and it is something that just like you my mom taught me and now I teach my kids.